Indianapolis Colts fans have even more reason to be encouraged after Andrew Luck’s excellent comeback season in 2018. The 29-year-old Luck said he’s in the middle of “probably the best offseason I’ve ever had,” according to CBS4Indy.com. That should be welcome news for Colts fans, who constantly worried about the state of Luck’s shoulder last offseason. Luck was able to put those fears to rest during the year, throwing 39 touchdowns to 15 interceptions. Luck also threw for 4,593 yards on a career-high 639 passing attempts in 2018. That was enough to earn him another trip to the Pro Bowl as well as the AP Comeback Player of the Year award. That “best offseason ever” feeling might be due more to Luck finally getting a chance to decompress after the football season. Luck got married during the offseason, and said he was able to take his mind off football for a little bit. He added that he hasn’t thrown yet, but it’s by choice. 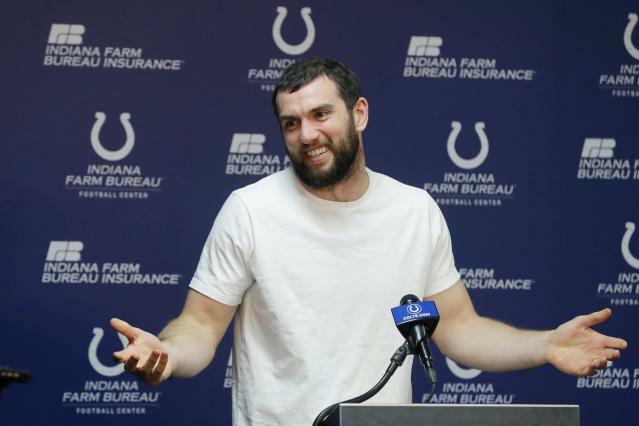 Luck said he would “have a plan” regarding throwing once the season inches closer. With Luck healthy, the Colts are among the Super Bowl favorites in the AFC. While having “the best offseason” doesn’t guarantee Luck will be demonstrably better in games next year, it should give Colts fans less anxiety about his health than they had last offseason. After a few offseasons of uncertainty, that’s got to be worth something.